Ratchet hangers make hanging up your filters, fans and lighting systems easy work. With height adjustability and simple mounting methods, Ratchet Hangers are an absolute must in the grow room. 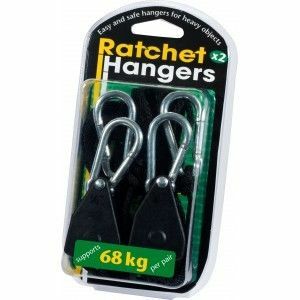 Pair holds up to 68kg.